A new online resource from ISO-CHEMIE provides improved access to a range of sealant tapes related project services and special tools for fenestration installers, retailers, designers and architects. 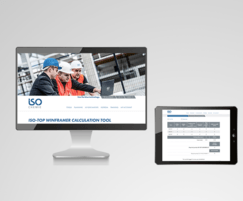 The secure ISO-PORTAL at www.iso-chemie.co.uk is the latest initiative from one of Europe’s leading producers of foam sealant tapes, which will improve the support offered to customers and specifiers around the planning and management of building and refurbishment projects. Some basic information is available to all visitors, but more is available free of charge once the user has created their own private account for access. 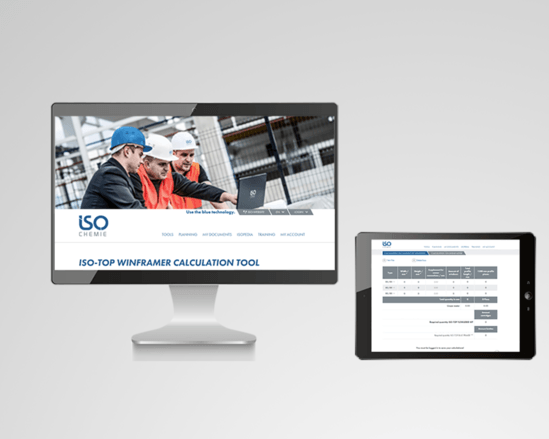 Features include numerous training video clips, plus a tool to quickly and easily calculate the quantity of ISO-TOP WINFRAMER thermal insulating and load bearing bracket systems required for a job, helping to minimise product waste and simplifying the ordering process. A ‘My Documents’ section offers improved access to online content and downloaded files, such as price lists, test reports and certificates. The status of orders can be viewed at any time and the whole section is accessible via mobile devices or smartphones for ease-of-use while on the move. Technical information around the planning and implementation of installation processes is covered in the ISOPEDIA knowledge base. This contains structural engineering and technical data, including how to detail airtight junctions, together with notes on the latest construction regulations and product specifications. The UK web site also includes a free of charge direct link to the National Building Specification (NSB) clauses for UK architects. This offers instant access to a library of clauses that can be selected and downloaded to help prepare project specifications, helping architects and specifiers ensure that the correct products are chosen, which are 'fit for purpose'. In addition, the new ISO-PORTAL has a thermal modelling tool to assist with the location of window positions in the external walls. A full English version of this feature will be available for Ecobuild.